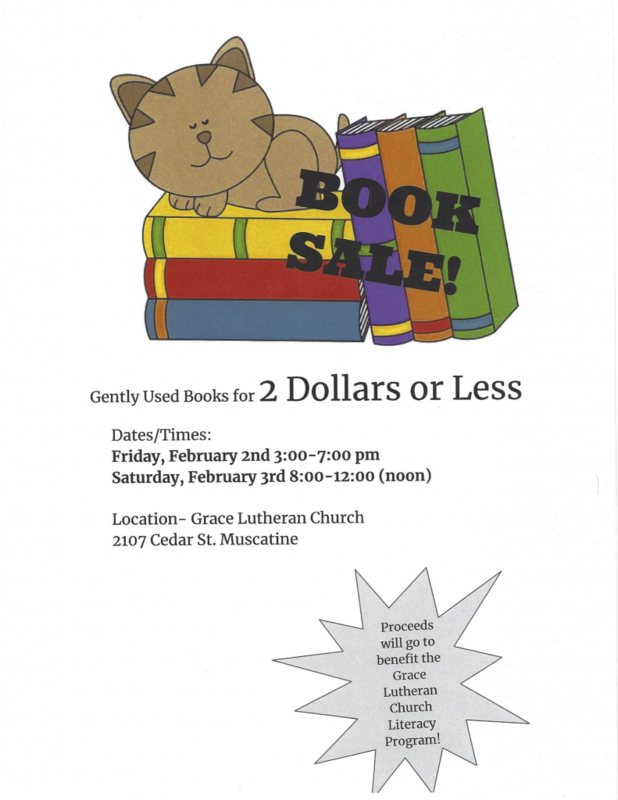 Come out and support Grace Lutheran Church’s Literacy Book Sale is Friday and Saturday, February 2nd and 3rd! Proceeds will go towards their K-2 Literacy Program for McKinley and Ss. Mary/Mathias students!